Fistful of Nutrition aimed not just to fight malnutrition but also provoked a thought of sharing in the upper class society. A few years ago SI Bangalore, started a very unique project under the name ‘Fistful of Rice’. This program is inspired by an initiative earlier run by International Children’s Peace Council designed by Dr. Nandini Mundkur who is a renowned consultant in child development and also a member of SI Bangalore. 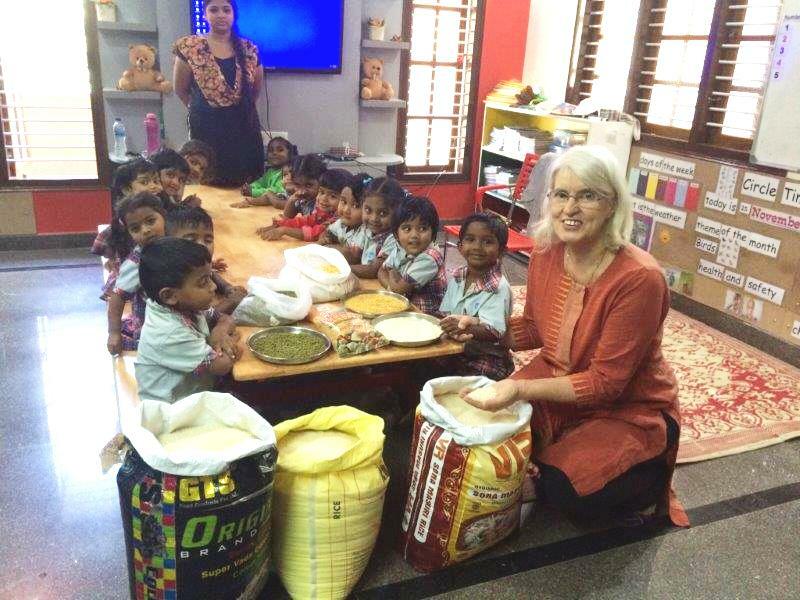 This program was modified as ‘Fistful of Nutrition’ later on by SI Bangalore. ‘Fistful of Nutrition’ is aimed at fighting malnutrition among the children of deprived class in our society. Under this project SI collected lentils like Moong Dal (green gram) which is a high source of protein and rice which is the staple food in Southern India. 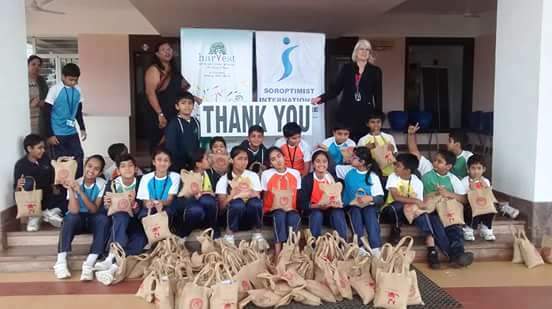 Children of elite Schools were given eco-friendly jute bags to carry home for a month. Every night, when they had their supper they dropped a fistful of lentil or rice into the bag, keeping in mind about their not so privileged counterparts. Fistful of Nutrition aimed not just to fight malnutrition but also provoked a thought of sharing in the upper class society. 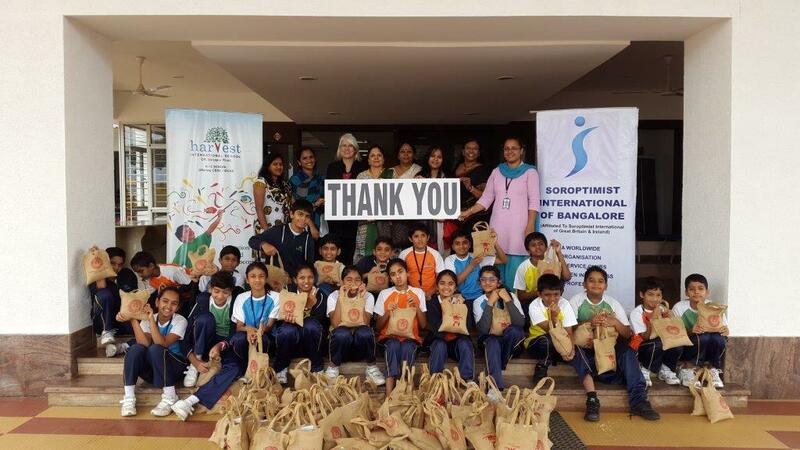 SI Bangalore was honored, when this project was chosen as a national level project by National Association of Soroptimist India (NASI). All the 14 SI Clubs in India are now taking this project across to elite Schools in their respective cities. Accenture India is also supporting SI in this project. 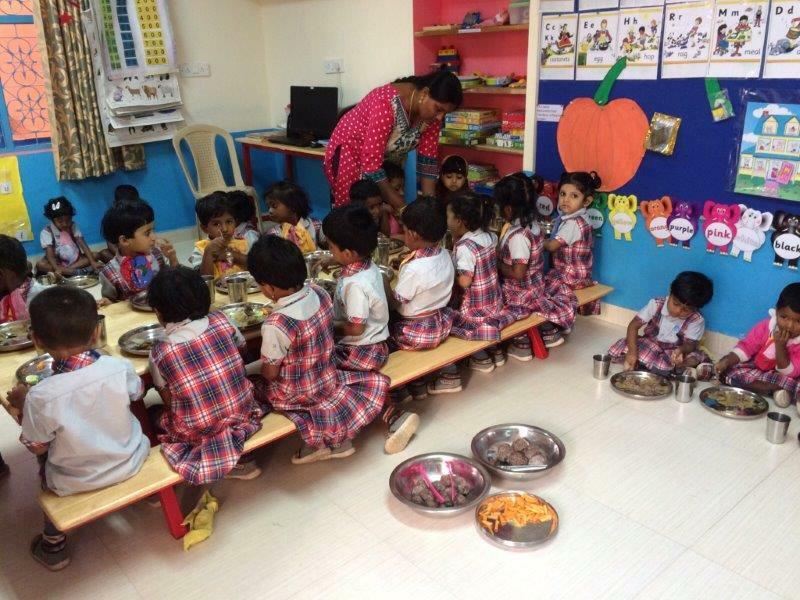 SI has partnered with 3 schools in Bangalore and has managed to collect approximately 250 to 270 Kilograms of grain from each school so far. The collection has reached three different recipients and has helped about 1500 malnourished children to have nutritious meal. 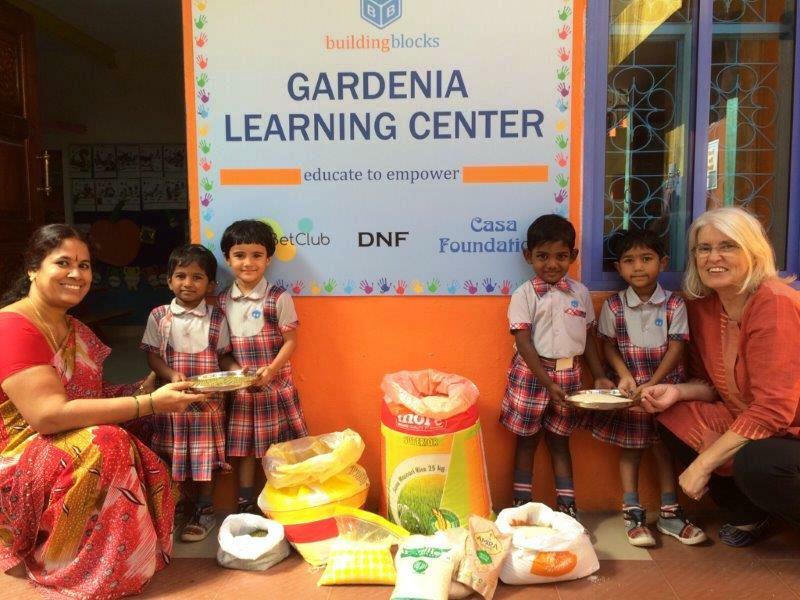 Recently, AlphaBet Club Schools – Edelweiss, Freesia and Gardenia were the recipients from the grain raising project with Harvest International School in Bangalore and a total of 350 Kilograms of rice and lentils were distributed to the AlphaBet Club Schools. This will help the three ABC Schools of Building Blocks India with a total strength of 220 children in the age group of 3-5 yrs. This stock will last for a month in all the 3 schools and on an average about 3,200 meals will be served through this grain raising project of SI. 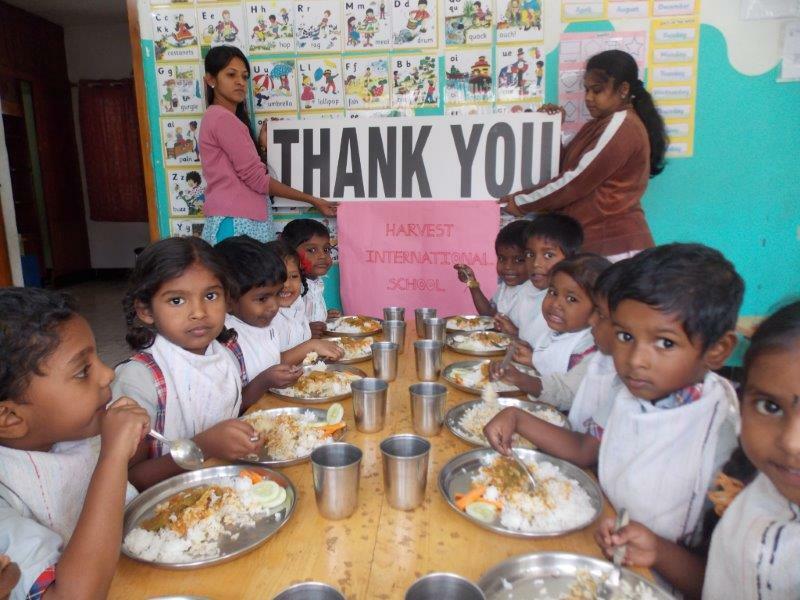 SI Bangalore will be connecting with more schools for collecting grains and reach out to many more children through this program. 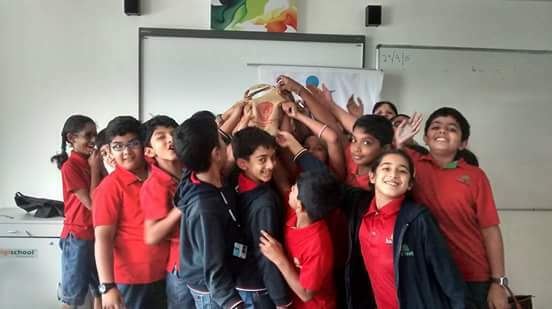 AlphaBet Club would like to thank SI Club, Bangalore for associating with ABC -BB Schools for this project. Thank You Harvest School students for participation! Soroptimist International (SI) is a Global Organization for Women and Girl child, which functions under four Federations: SI of Americas, SI of South West Pacific, SI of Europe and SI of Great Britain and Ireland (SIGBI). SI clubs are spread out in 129 countries with 100,000 members. SI has a consultative status in the UN. Also, there 14 such clubs in India and all SI Indian clubs are under SIGBI. SI works in various fields to Educate Empower and Enable Women and Girl child. SI strongly believes that Education is the Key to Empowerment.